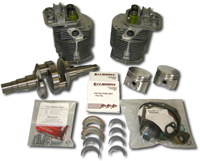 The 22 HP STROKER KIT includes New Cylinders, Crankshaft, Pistons, Piston Rings, All Bearings, and Complete Gasket & Seal Kit. The Directparts STROKER KIT includes all the wear parts you need to rebuild your 22 HP or convert you 18 HP engine to 22 HP specifications. 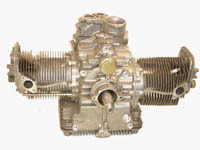 Don't just repower your vehicle, RENEW it with a brand new 22HP Cushman® Engine with all the latest upgrades to Replace All 18 & 22 HP Engines!